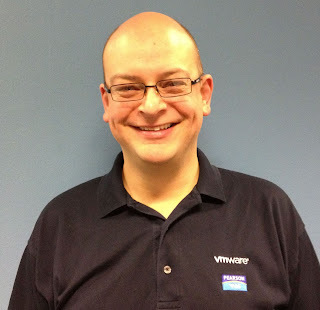 I joined VMware in March 2012 and am currently the Senior Performance Consultant for the EMEA SE organisation - I design and manage the enablement programs for the 400+ pre-sales employees across EMEA. I have worked intimately with VMware virtualisation products and technologies since 2006, when I also gained my initial VCP and VCI certifications. Prior to joining VMware I worked as the Lead Virtualisation Instructor for Global Knowledge, and before that I was the Training Operations Manager for the virtualisation training team at Magirus. I am a major contributor to the official VMware Training & Certifcation community forums and I also contribute to other certification-related forums. As well as this blog I can also be found on Twitter and LinkedIn where I also run a group related to VMware training and certification. Please note that any opinion expressed on this blog is mine personally, and not that of VMware. Great Blog. Answered a whole bunch of questions for me. Please keep the good work going. I took VCP trainig from authorized training partner which listed on vmware web site and its almost 25 days has gone i have not received any vmware id or any information regarding my trainig from Vmware the institute guys are always asking me that you will receive email in few days. what i should do. What are you expecting to receive? VMware would normally only email you in relation to certification rather than training. Hi Scott, can you help with an authorized vmware training center in delhi? I have done vmware training from in mumbai from some classes who were providing the vmware couses . I have clear VCP5-dcv on 29th oct 2013 for that 75% discount code but i have not received the certificate now. I have mail the certification email they told methat i have to complete training from authorized learning centre then only i will get my certification. VCP5-DCV does have an "authorised training" requirement, so if your training wasn't one of the qualifying courses delivered by a recognised learning partner you might have a problem. Hi Scott, I intend to offer VMware courses at my own company. How should I go about it? I need to get certified first, then do I need to get approval from which centre? Can list the steps I need to take? I am currently working at a BPO as Technical Support Associate. VMWare certifications have been on my mind for a while and I would be very interested in pursuing these but I'm not familiar at all with what they offer and what they require. Any general advice on where to start or things I should be aware of before taking up the course is much appreciated. Thank you. nice work Scott, keep up the good work!